We Are the Few. The Uncommon. Empowered Mastery is a personal and professional development center with signature coaching programs and training methods designed to catapult your life and career to the next level. Empowered Mastery’s flagship personal coaching program, You Have Infinite Power™, is a powerful trademarked process proven to inspire professionals and entrepreneurs to achieve ULTIMATE Success in ALL areas of their life: Professionally, personally, spiritually, and physically. Piggybacking off Chris and Paul’s bestselling book, coauthored by Rick Wollman and Nick Palumbo, this groundbreaking program, this groundbreaking program has inspired thousands of people across the country, affording them a step-by-step process to look introspectively at themselves like never before. Most, for the very first time, walk away with a deeply thorough understanding of why they are the way they are, how they got to where they are now, and most importantly, where they want to go in the future, and how to attain these goals. Your Life. Our Passion. One Purpose. Our mission is simple: To transform your life—to nurture who you are and help you become the person you want to be through powerful and practical signature methods that can be applied daily to make positive change and effort every day. Not Your Common Business Coaches. We are more than just your average business mentors and life coaches. We are change agents with backgrounds deeply rooted in martial arts and entrepreneurism. We have spent more than three decades living and breathing the martial arts mindset of harmony, integrity, perseverance, and respect. Taekwondo instructors turned owners of nationally-acclaimed martial arts studios throughout the Northeast, we wanted to take our knowledge of this practice and success in business a step further. We wanted to step outside the bounds of the martial arts mats and teach professionals the value of this fulfilling mindset and how to apply it to everyday life and business decisions. Now, we teach top-earners, executives, and entrepreneurs how to live a life of gratitude and develop the indomitable spirit to succeed in everything they do. Piqued your interest? 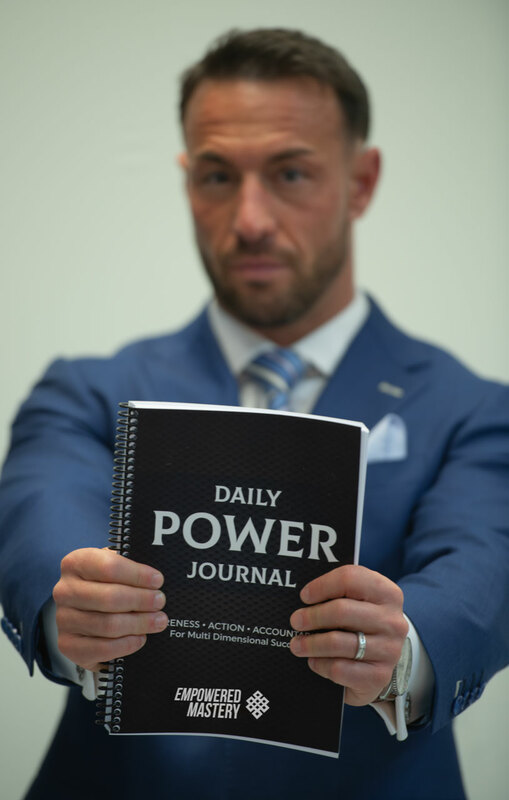 Learn more about how we apply our experiences as competitive athletes and outdoorsmen in the boardroom and our secrets to a happy home life as loved fathers and husbands.